New cuban cigars for H.Upmann which will be surely appreciated among the most demanding cuban cigars smokers. Always regarded as a light to medium flavoured cuban cigars, the H.Upmann Magnum 50 stands out of its complexity and richness. 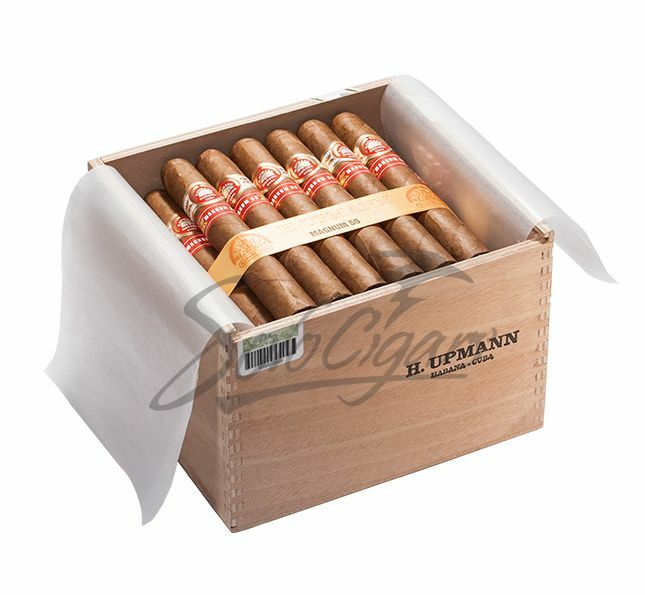 The Magnum 50 is presented in an unvarnished slide lid box that will certainly become a hit.